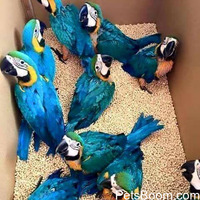 Birdman Parrot Rescue - Bird Adoption Centre in Manchester - Find pets for sale on PetsBoom.com | Global free classified ads. Looking for birds boarding in Manchester? 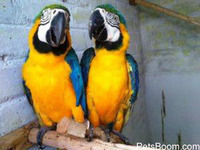 Parrot Rescue Centre provides professional Birds Boarding Services for your bird's safety. Call on 077519523367. 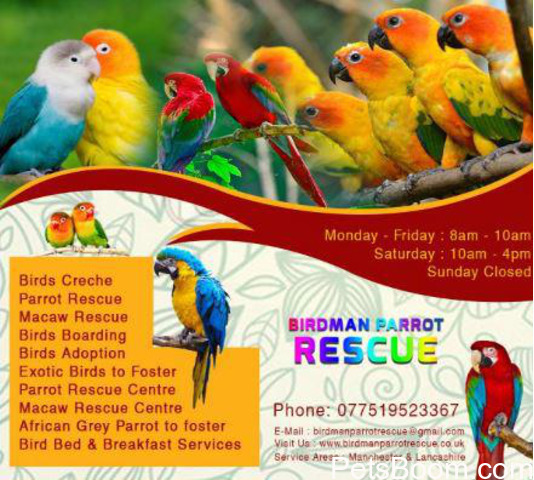 Birdman parrot rescue is in Blackpool Lancashire' We will take in any parrot,Sick, injured,or Problem birds..We will never turn a bird away. 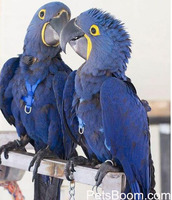 We have many years experiance with all types of birds and large parrots. The rescue is always looking for foster homes. If you think you can offer a home please contact us. Hours of operation: Monday – Friday : 8 am – 10 am. Saturday : 10 am – 4 pm. Sunday Closed.